Called vehicle-to-vehicle communication system, the feature is being included as standard on the 2017 Cadillac CTS sedan. Connected cars are the definite future in the automobile industry, with Microsoft pitching for a unified system that can allow cars to communicate with each other, keep themselves update and even monitor their own systems. 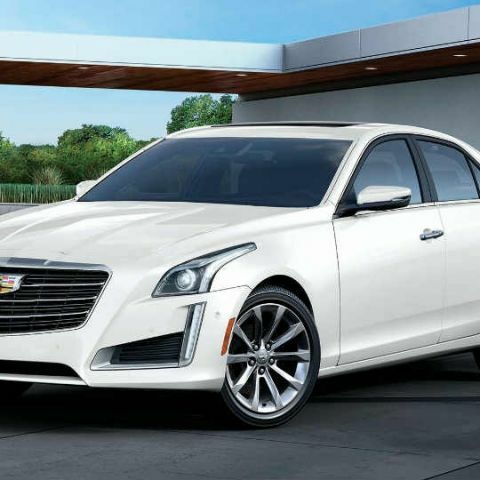 Taking a step further, Cadillac’s latest announcement states that such vehicles are all set to hit the road, beginning with the 2017 Cadillac CTS sedan. The car is being introduced in the USA, and will make use of multiple sensors, communication devices and GPS services to take note of road conditions, and relay them to other connected cars in the vicinity. The technology, while ready to be deployed on road, still has a long way to go before it fully matures. Cadillac can enjoy the distinction of being among the first movers in this field, but the V2V system can only communicate with fellow CTS sedans for now, which considerably restricts the real world impact it will make for the time being. Looking closely at it, the vehicle-to-vehicle communication system is not only an added layer of advanced safety, but will also form a crucial peg in the steadily advancing field of autonomous vehicles. Using sensors, a host of communication and imaging equipment and, of course, satellite-driven GPS modules, the V2V system keeps a track of road conditions (singular and recurrent) on Cloud-based information storage. This, then, can be relayed on to other vehicles that support this ecosystem when two of these cars are within 980 metres of each other. Such range is significantly higher than safety systems that operate locally around one car. 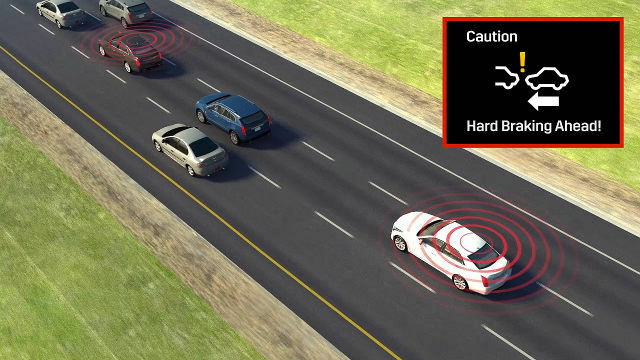 All cars carrying support for V2V will be equipped with Dedicated Short-Range Communications (DSRC) equipment, and this entire setup, as exhibited in the new 2017 CTS, can also inform drivers when other connected cars apply sudden brakes to dodge obstacles, break down and halt in the middle of road, or even when roads ahead are slippery by synchronising with traction and ABS data from cars ahead. With so much information at stake, and the latest Wikileaks dump exposing much threat to the present security standards of connected cars, Cadillac has affirmed that user and usage data are never stored in the car, and the connected networks have firewalls in place to protect any breach of privacy or mishandling of resources. 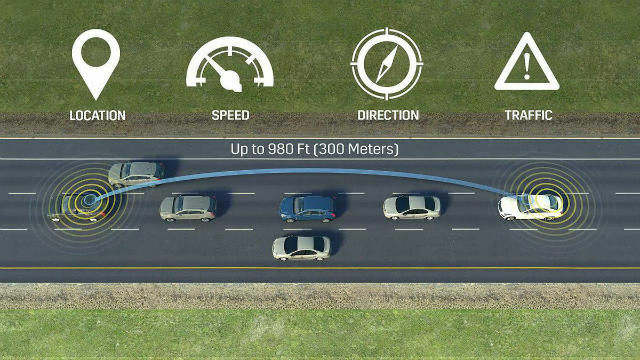 This is also very important before it expands into a widely implemented web of connected vehicles, something that the Department of Transportation in the USA have proposed to be made mandatory. Cadillac also pledges to make V2V an important part of its autonomous driving efforts. With cars being able to talk to each other, they can actually form a web of intercommunication regarding road status, directions, conditions, traffic and more. Coupled with the predictive features lent by the 980 metres of interconnectivity range, autonomous cars of the future may get to maneuver themselves much better - somewhat similar to how human drivers get to “learn” routes after having driven through them. The story, however, may be significantly different here in India. With considerably narrower roads, less distinct demarcations of road signs and adherence to road rules, and a drastically different demographic of drivers, autonomous driving still seems like a farshot into the future. What technology like V2V can contribute to in India are logging road conditions and feeding them within connected cars, which can contribute to traffic, driving styles, car maintenance and more. With India being ever-so-concerned with mileage and servicing schedules, it is in these places where V2V can prove to be the most useful. With Tata Motors already having signed into a connected cars agreement with Microsoft and unveiled the TaMo RaceMo under this platform, it will be interesting to see how the realm of connected automobiles advance in India. Cadillac, meanwhile, is also upbeat about fellow car makers getting set to adapt this technology soon, all of which should see a rising web of interconnected vehicles as early as 2018. Can wireless technology help fight crime? Can I make my browser password protected?